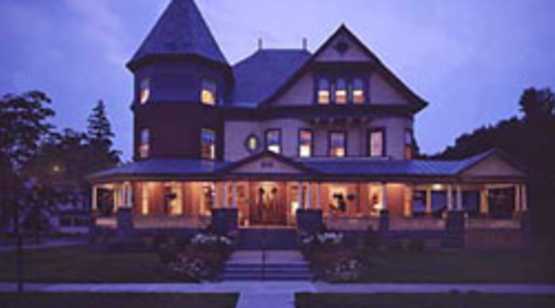 Union Gables Inn is a historic Queen Anne Victorian mansion providing all the luxury amenities of a hotel with the personal attention and comfort of a locally-owned Inn. Walking distance to all attractions in Saratoga including the Saratoga Race Course, Congress Park, and Skidmore College. Union Gables' large and elegant guest rooms include a private bathroom, flat screen TV, gas fireplace, seating area, desk, and free WIFI. As part of the experience, guests at Union Gables enjoy a full, cooked to order breakfast each morning, wine and an appetizer in the evening, and fresh-baked cookies at night. The heated, outdoor pool, large wrap-around porch, and gorgeous perennial gardens create a private oasis in Saratoga Springs. Bikes are available for guests to use to explore Saratoga. Find Union Gables on Facebook or go to www.uniongables.com for pictures. 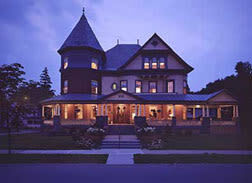 Directions: Union Gables is a romantic and preserved mansion Inn, located on Union Avenue two blocks to the Historic Congress Park and one and a half blocks to the Saratoga Racecourse. Experience downtown Saratoga Springs shopping, restaurants, spas, natural springs, live music and art galleries, all within a short stroll from the front door of the Inn. Skidmore College, Empire College, Saratoga Performing Arts Center (SPAC), Saratoga Spa State Park, and Saratoga Lake are only a few miles from Union Gables. The Adirondack Mountains and Lake George is a 30 minute drive. Notes: Union Gables has beautiful cruiser bikes available for guests to explore Saratoga. A full, cooked to order breakfast is served each morning in the mansion. Fresh pastries, fruit, toasts, jam, yogurt and granola are served in addition to the full breakfast. There are 7 pet-friendly rooms available. For group reservations or corporate accommodations please call 518-584-1558 for more information.